Calling All Athlete’s and Campers – Schedule Your Participation Physical Today! Summer is here, finally! With summer comes the need for sports, camp and participation physicals. Sports teams and camp experiences give our children skills that last a lifetime. Team building, exposure to the great outdoors and learning the importance of physical activity. 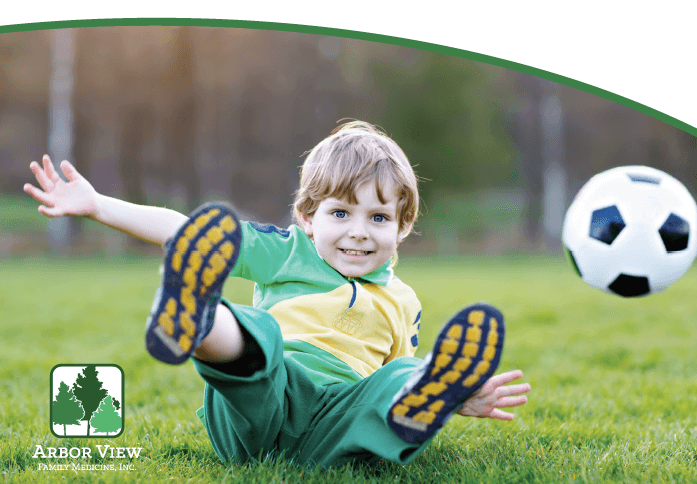 Whether your child is about to join a sports team or attend a camp, most require physicals to ensure your child is capable of engaging in these activities safely. Being in the great outdoors whether at a camp or on the playing field, may bring encounters with stinging insects which some children have severe reactions to. Other risks include exercise-induced asthma, heat stroke and a host of others. During these physicals, your health care professional will look for vulnerabilities, this includes reviewing medical history as well as family health history. A sports or participation physical examines fitness levels, evaluates any medical conditions the patient has that may impact their ability to participate safely. Experts recommend scheduling your child’s physical six to eight weeks before the camp or sport begins, Experts remind us that these exams are not a replacement for your child’s annual health exam. Comprehensive checkup exams are still needed annually. Arbor View Family Medicine is pleased to offer this service to established patients. They will bill your insurance company, and self-pay exams are fifty dollars. Call us today at (740) 689-3627 to schedule your appointment.